Hello Friends! It’s good to have you visit again. 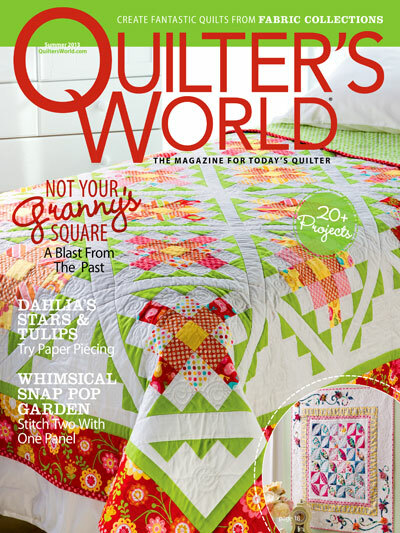 I am not sure if you are familiar with Quilt-it… today magazine. This magazine is only recently introduced to the market, and sold at an affordable price. 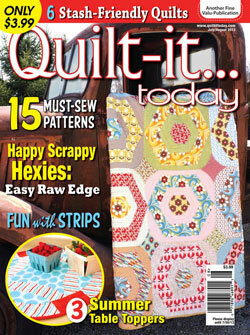 I am sharing with you my YAY DAY quilt that is featured in the July/August 2013 issue of Quilt- it… Today. 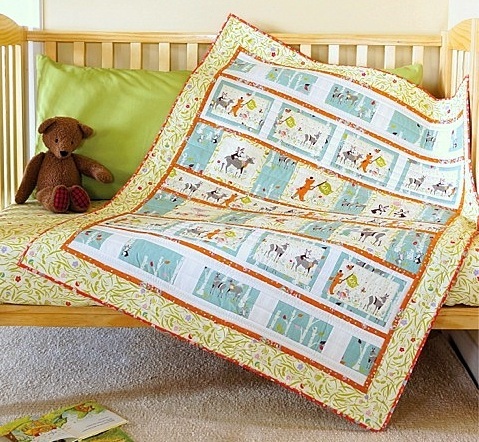 This is a horizontal strip quilt using organic cotton prints from Birch’s Yay Day Collection. Click on fabric collection name to view the full range of fabrics. 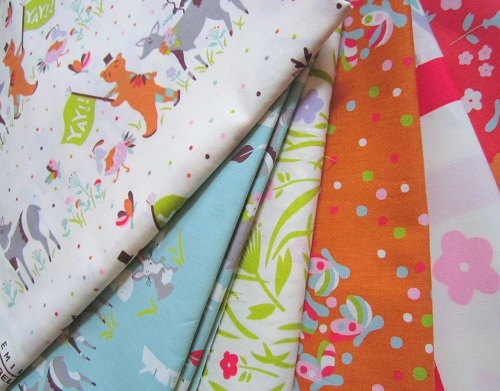 Click here to purchase the fabrics from Fabric Worm. 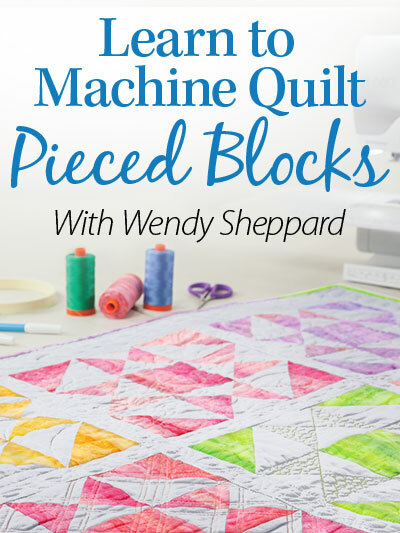 The pieced blocks in this quilt are framed blocks that are super easy to construct. Quilting was done to match the horizontal strip layout of the quilt using straight line and machine “fly” stitching. Quilting was done using Aurifil Mako 50 cotton threads over Hobbs Tuscany Silk batting. This is what the back looks like. Incidentally, the backing fabric is my favorite from the collection. I hope you enjoyed my Yay Day quilt. 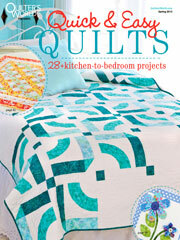 If you like the quilt, I am curious what you liked about it – fabrics, designs, quilting, anything! Have a lovely rest of the day, and great week ahead! 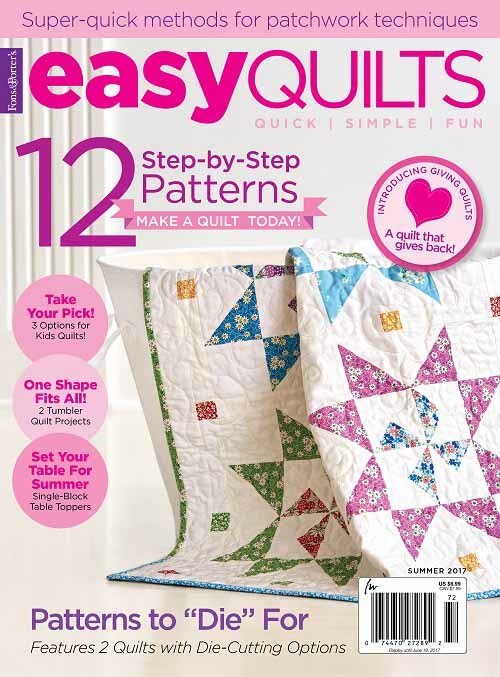 This entry was posted in Quilt Pattern, Quilting, Quilts & Projects: Published, Quilts: Pieced and tagged Birch Yay Day Organic Cotton Fabrics, Quilt-it...today July/August 2013, Wendy Sheppard Designs. Bookmark the permalink. 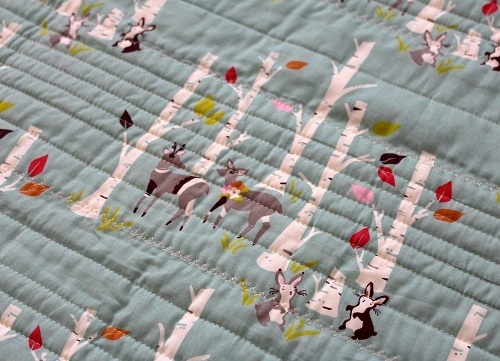 The fabric is absolutely DARLING and I love the simplistic straight stitch quilting. The orange (and white) horizontal strips make it POP, Wendy! I love it. Adorable! My fav is the backing too. Never heard of that magazine. Good old WM doesn’t carry many quilt mags, maybe 3. This is so adorable! I love it! 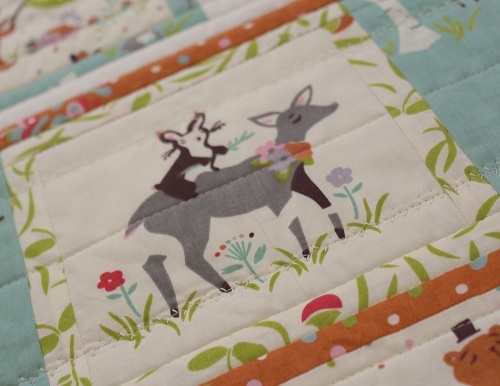 I really like how you added the decorative stitch for quilting! I have been thinking of doing that on one of my baby quilts for a while now. I like the backing best too. Hmmm thought I posted but not here. 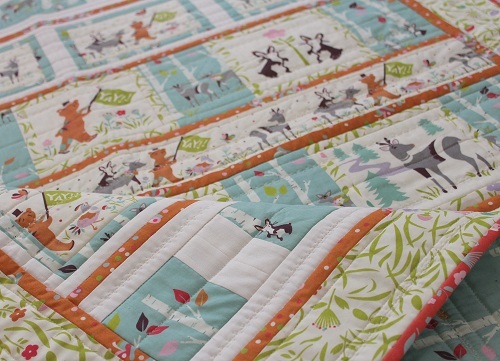 You do such darling quilts. But the quilt is awesome! Sometimes the basic stitches are the best! With this fabric, its a perfect combination!!! The first thing I thought when I saw the first picture was “peaceful”. Can’t think of a better word to describe a baby quilt. I love the backing fabric too…but from the front…I love the outer borders; it’s the perfect frame for a sweet little quilt! That looks like great use of those fabrics. 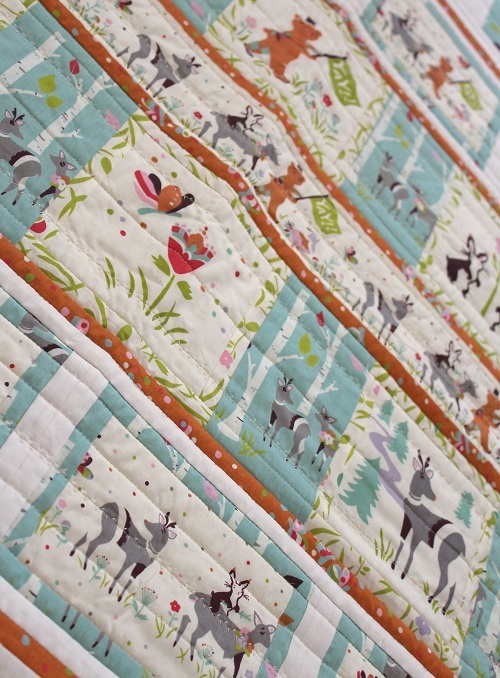 That’s a very cute quilt! 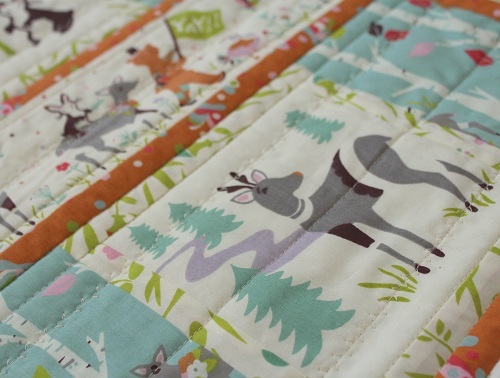 I love this fabric, and what you’ve created with it! Beautiful as always! I loved the fabrics Wendy, and I can see why you called it “Yay-Day”. 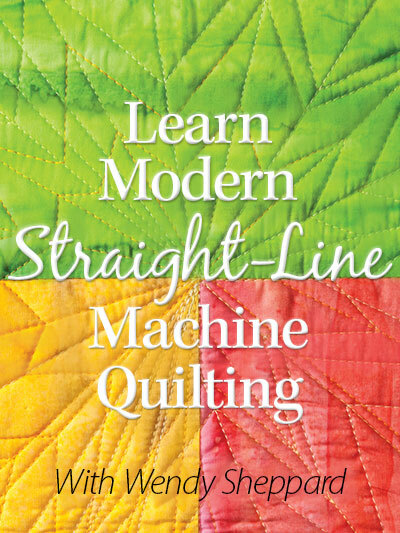 But what encouraged me is that you used straight quilting. I am still a little nervous doing the feathers etc. 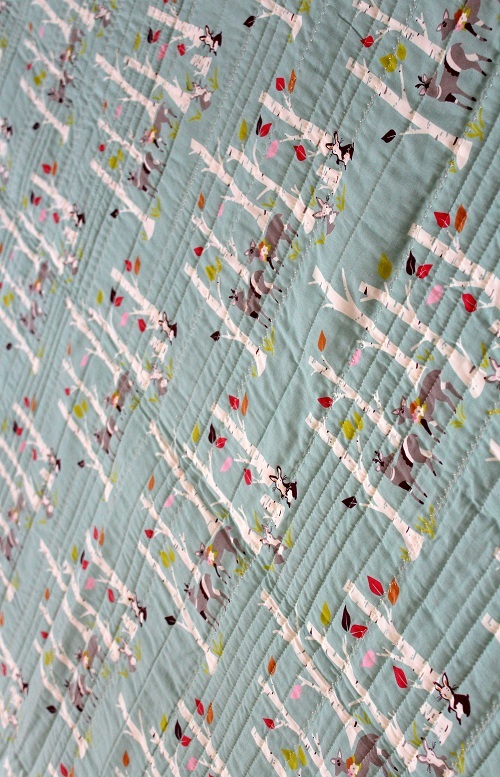 But this quilt looked great with the straight stitiching. Thank you, Jo-. I am not familiar with this magazine, but I will be on the look-out for it. Cute quilt. The fabric and quilting definitely go together. P.S. 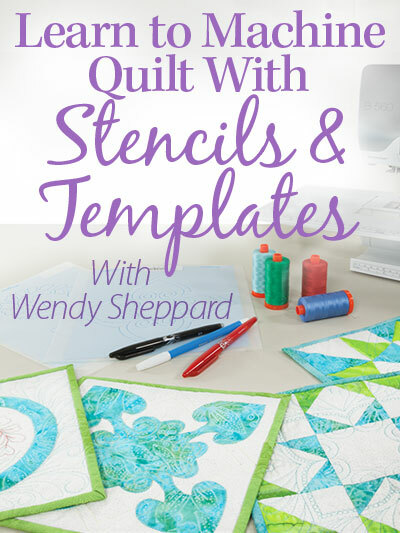 Wendy, what an impressive list of quilting accomplishments for 2013……and it’s only May!!!!! 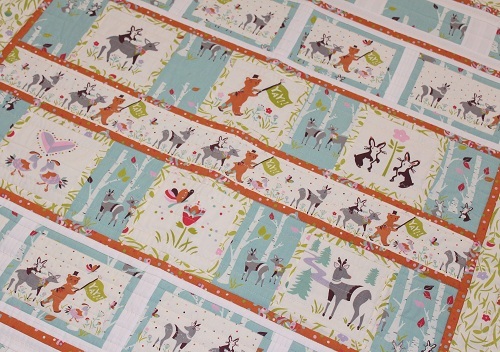 Wendy, I have to say that I was a bit skeptical when I saw the sneak peek of the fabric, but it is Adorable, yes, with a capital A.
I love everything about it, so I can’t separate the components as thry all complement each other. So far have not seen this magazine at my local book seller, but I will keep looking. I love the backing fabric!! 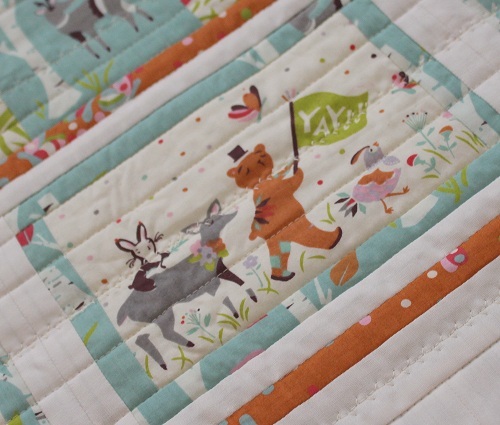 Love the simple straight line quilting! The fabric is adorable! I like that the pattern is simple and it appears to be designed to be able to enjoy the fabric design. The quilting is very complimentary to the overall design. All in all….it’s a great project! The quilt is very cute, Wendy. 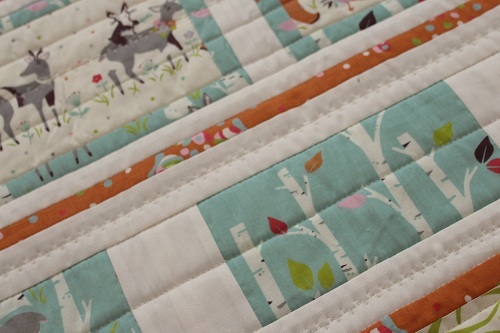 I like the fabrics and their colors, but I also like the quilting you did on it. Straight lines look perfect with the design.